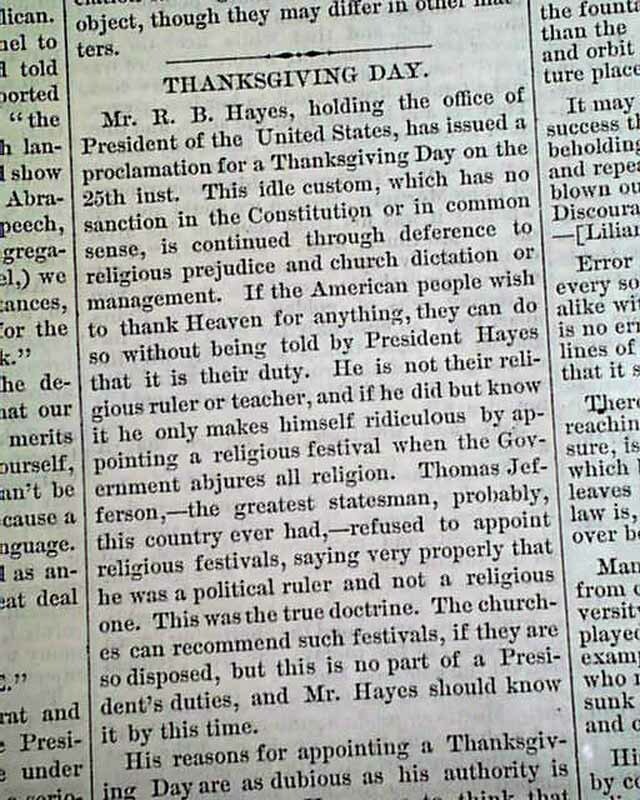 THE BOSTON INVESTIGATOR, November 10, 1880 An inside page 4 article, "THANKSGIVING," provides a contrary view to the common and frequent Presidential proclamations for days of thanksgiving and prayer, and specifically, those regarding Thanksgiving itself. The writer (unnamed) expresses their belief that such a practice is unconstitutional. 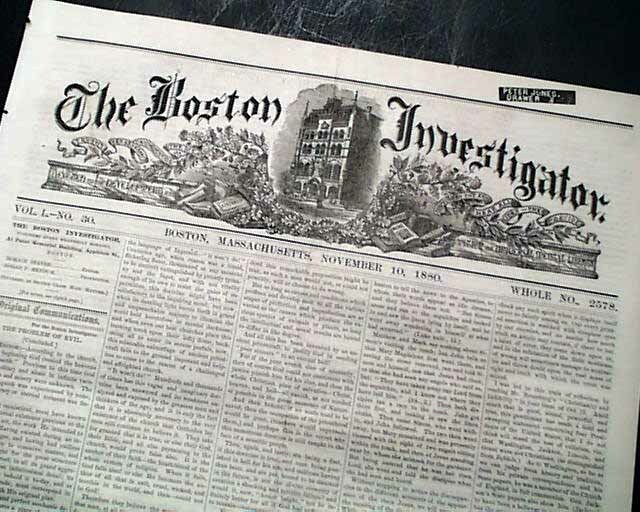 Other news of the day along with period advertising are found throughout. Complete in 8 pgs., 20 1/2 by 14 inches, very nice condition. 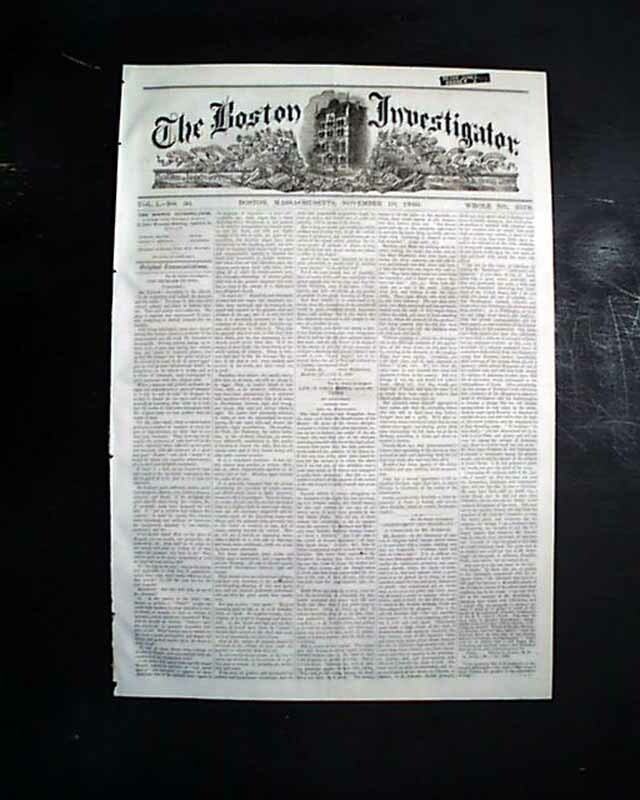 Note: The Boston Investigator was the 1st United States newspaper dedicated to the philosophy of freethought.